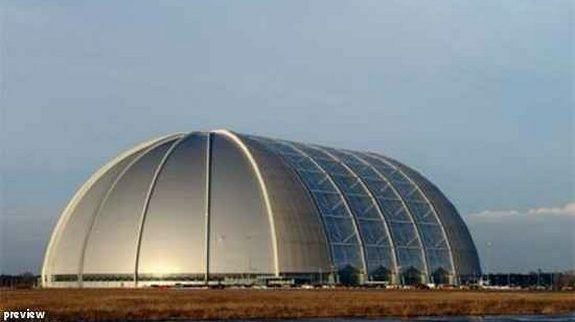 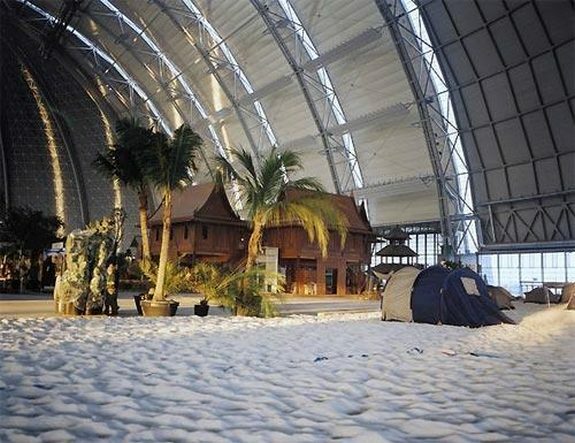 Located 60 kilometers from Berlin, the building – a former air base in eastern Germany. 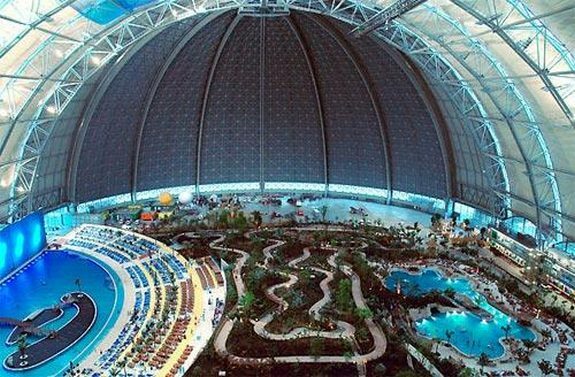 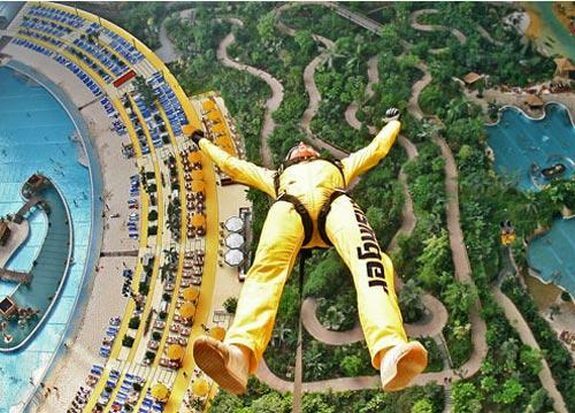 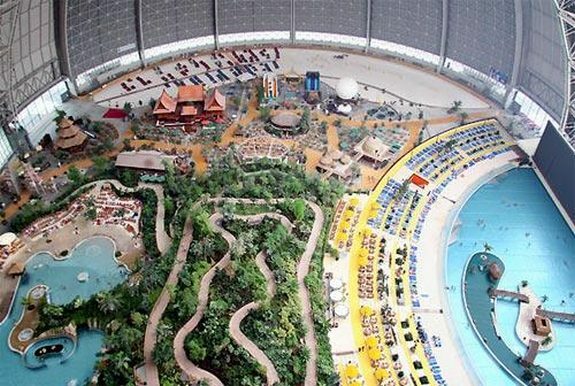 Inside this balloon are amazing green and water architecture - Water park Tropical Islands Resort! 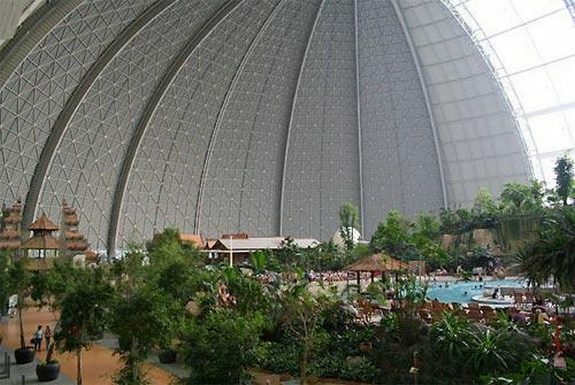 Clock work, capacity up to 8500 people. 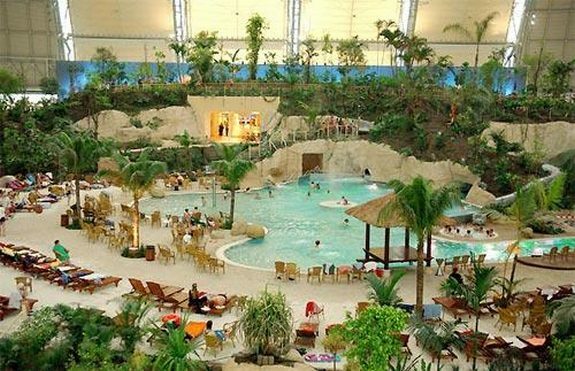 The church, a water park, cafes, themed village – Thailand, Malaysia, Bali, Polynesia, Congo, Amazon (each can have national cuisine). 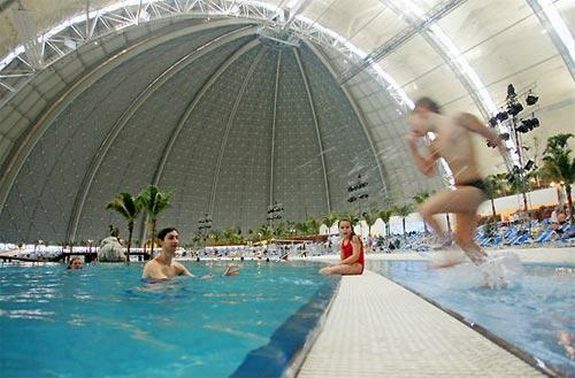 Air temperature – 25 degrees, water – 28 degrees.